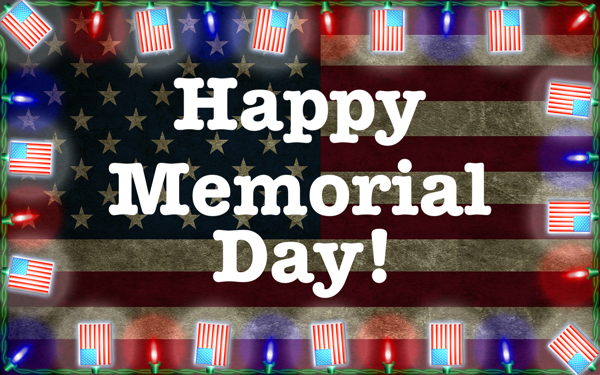 In memory of all our fallen heroes, and those we’ve loved and lost. NightLights for Mac and iPad is designed to add some holiday cheer to any occasion! It doesn’t matter which holiday you’re celebrating, there’s a color combination for every need. NightLights comes with both “Mini”, “C7″ type, and novelty shaped light bulbs. You can mix and match, choose from various blink modes, and more! It’s that time of year when the insects come out! Have all your favorite flying critters on your Mac screen at the same time! Tell her you love her in bright digital lights! Use NightLights to frame your display with colored lights, or create lighted scenes with your own photos, and backgrounds. Goes great with a heart shaped box of chocolates, and a dozen red roses! With a single shot of the Cupids’ arrow, love will flourish. Will you be a lucky recipient, from these messengers of love? Download this retro screensaver for FREE! Fireworks are Fun and Fantastic! Back around the 7th century the Chinese invented fireworks. Punctuating cultural events, and religious purposes, fireworks are part of the human experience. We can enjoy them with sight, sound, smell, and even touch, as we sense the concussion in our bones. Fireworks are beautiful on so many different levels, that each one of us has a unique experience. For me, some of my earliest, and best memories involve fireworks. Warm summer nights, celebrations with family and friends, parades and picnics. Throughout my entire life, I have spent time trying to re-create those experiences of awe and beauty. As a child I have made drawings, cartoons, even collected extinguished fireworks for a pretend stand. My neighbors must have thought me odd, sitting behind my red wagon stand, selling burnt out fireworks for play money! Later I took it to the next level, and experimented with making my own fireworks, safely I might add. No one got hurt! My first software product was, “The Digital Fireworks Stand”, a CD-ROM based simulation that also included history, a glossary of terms, and safety tips. 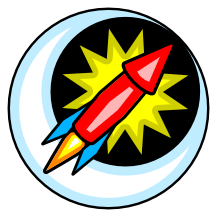 Since then I have paid tribute to fireworks with several other software titles, including screen savers. Even the name of this company honors fireworks! So you see, I am still drawing and making fireworks, sitting behind my red wagon stand, waiting for my neighbors. Celebrate with fireworks each and every day, all year long! FireworX Stand for Mac & iPad! 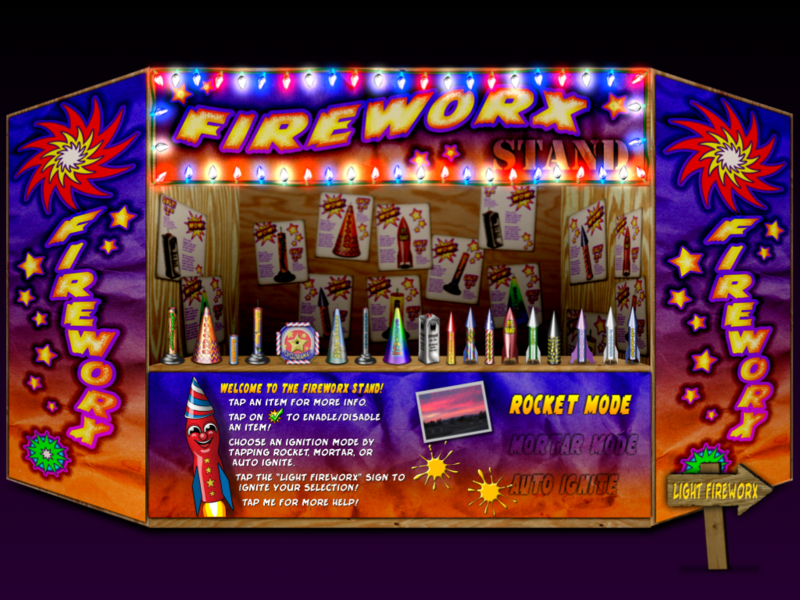 All year long, any holiday or occasion, FireworX Stand brings a festive mood to your Mac or iPad! These pyro-tastic delights burn cool, so they won’t burn you, or your screen! FireworX Stand is realtime particle animations of fireworks, with realistic sparks, fire, smoke, and authentic sound effects! Virtual FireworX Screensaver for Mac! 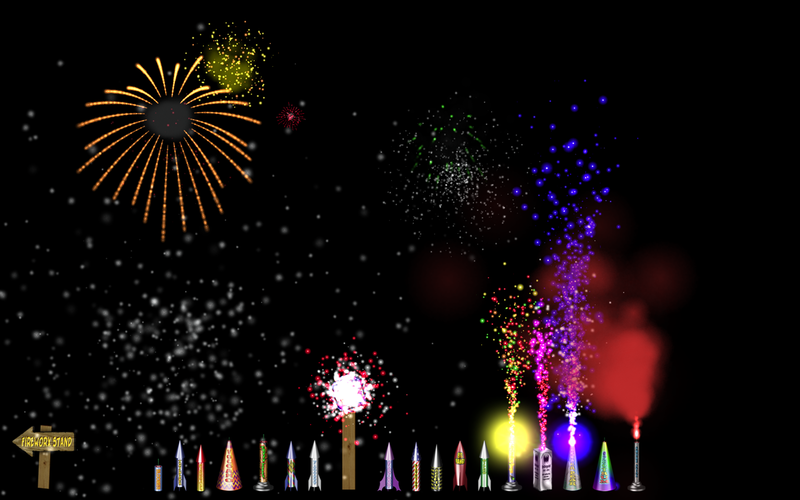 Virtual FireworX are realtime 3D particle animations of fireworks simulations. Because the fireworks render in realtime, they truly vary from each viewing, randomly igniting in new locations in 3D space! Arguably not as beautiful as fireworks, but just as noisy, a new 17 year Cicada emergence will happen on the east coast this summer. There are many species of Cicada; pronounced si-kay-da. Some are annual, others are periodical, remaining in juvenile stages for as many as 17 years before emerging as adults! Check out this screensaver dedicated to the 17 year Magicicada emergence of 2004, also known as ‘Brood X’. Ever wanted to control the weather? Wished for a calming spring rain, a cold winter snow, or a spectacular lightning storm? Now you can be your own deity and conjure up your Mac’s weather at will! 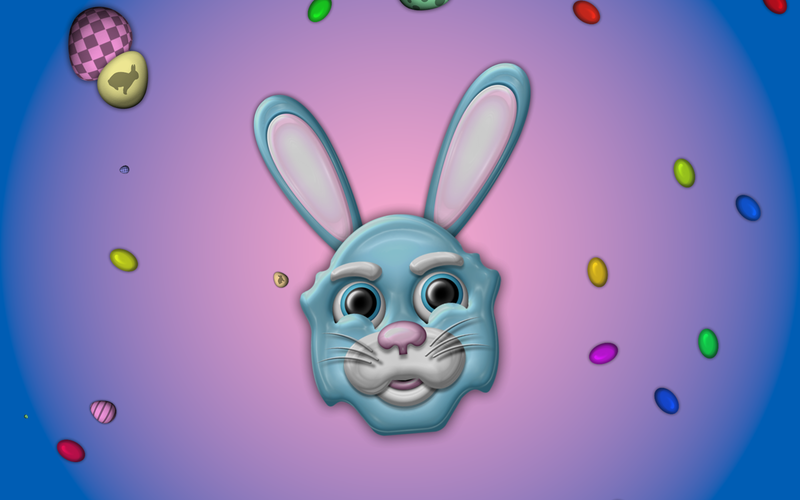 Decorate your Devices for Spring! Here’s some suggestions to bling out your Mac and iOS gadgets for spring! Have your very own digital Leprechaun on your desktop! Lonnie the Leprechaun hangs out in his own little world, looking for gold. 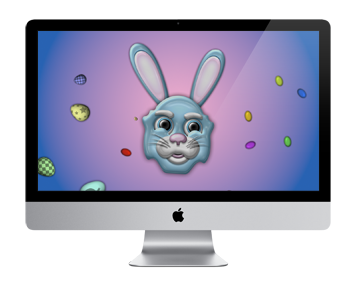 Check out these Mac screensavers that bring out the spirit of spring! Get our Halloween screensavers, plus Flyz, and Stormz, for one low price!